Natasha Romanov has always led an exciting life - first as a Cold War-era Soviet spy, followed by her defection to the West. She has earned a reputation through the years as a consummate professional, coldly efficient and as deadly as her namesake. Now, her time as Black Widow may be at an end. Yelena Belova, the new Black Widow, seeks to claim the mantle she feels was stolen from her Motherland. Trained in the arts of espionage and combat, and anxious to prove herself and eliminate her counterpart, Belova will stop at nothing to achieve her goal. The battle of the two Widows rages from the deserts of the Middle East to New York's Upper West Side. When the smoke clears, will either be left standing? 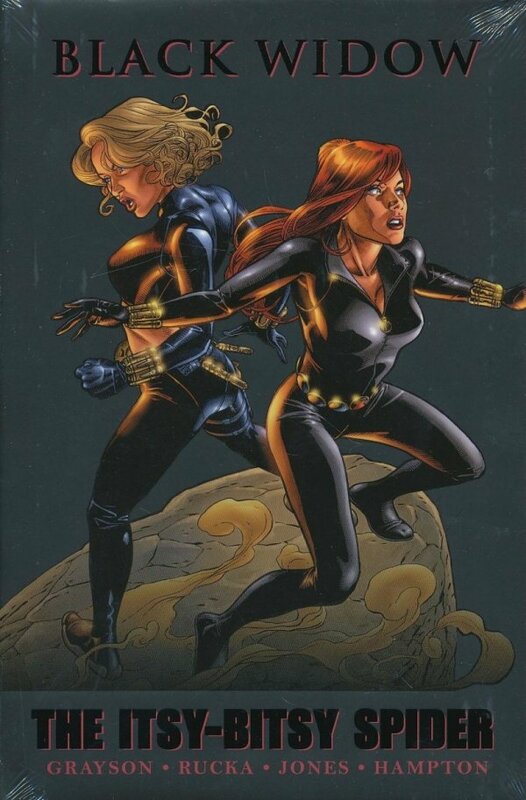 Collecting BLACK WIDOW (1999) #1-3 and BLACK WIDOW (2001) #1-3.